Today on the blog, we have Rob Williams, of Look at Us Alliance. Rob has been coordinating with CCA and we hope to work together more in the future helping kids get the surgeries they require. Learn more about his work and family in the interview below! CCA: Where are you from and tell us a little about you? RW: I grew up in a large family in Dallas, TX. My family was in the oil and ranching business. I had numerous major reconstructive surgeries as a teenager, but did not know I had Treacher Collins until my son was born. CCA: When did you start Look at Us, and can you tell us how it came about? RW: In January of 2014 we sent in our application to the IRS for our non-profit status the day before my family left for an eight month journey around the world. We sold our home, put our belongings in storage, pulled the kids from school with only a one-way ticket to Bangcok carrying only backpacks. The day we returned we received our approval notice. Look At Us launched in November of 2014. 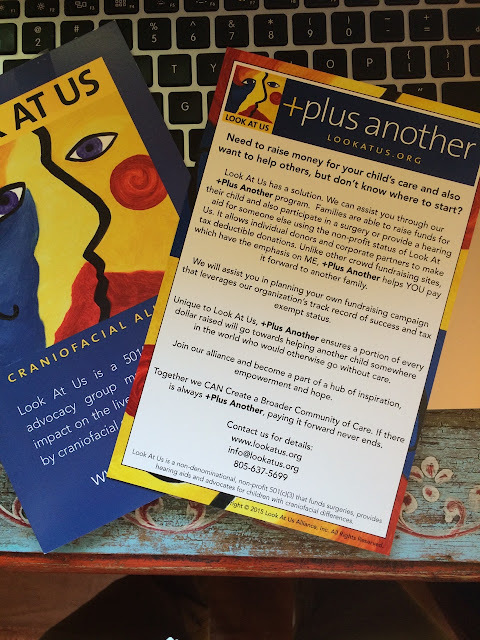 The catalyst for Look At Us dates back to the summer of 2002, when my son Robert was born with severe craniofacial differences. What should’ve been the most joyous occasion for my wife Jennifer and me became shrouded by worry, confusion and – truth be told – fear the moment an obstetrics nurse placed our precious newborn into my hands early on a July morning. When I saw for the first time Robert’s underdeveloped facial bones, down-slanting eyes and malformed ears – the telltale signs of Treacher Collins Syndrome – I turned to the doctor and said, “look at him,” desperate for reassurance that he was going to be okay. She refused. “LOOK AT HIM,” I repeated, an anguished father pleading for the doctor’s care – a diagnosis, perhaps some words of comfort. But she wouldn't. Instead the OB/GYN hurried out of the operating room, avoiding eye contact and offering a patronizing “his color is fine, he’s doing what normal babies do." 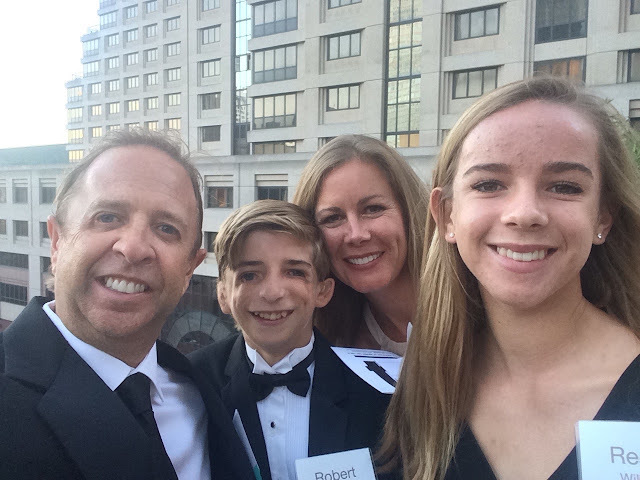 Since Robert’s birth, Jennifer and I have been steadfast in our quest to provide him with the best medical care available and to raise our son as a completely normal child, which he is. To date, Robert – who’s an otherwise healthy, happy and active 6th grader – has endured ten reconstructive surgeries, and our journey has led us to discover the world’s top medical professionals and ancillary providers, to learn all about hearing aids, and to understand the psychological impact that craniofacial issues invariably have on an affected kid and his or her family. 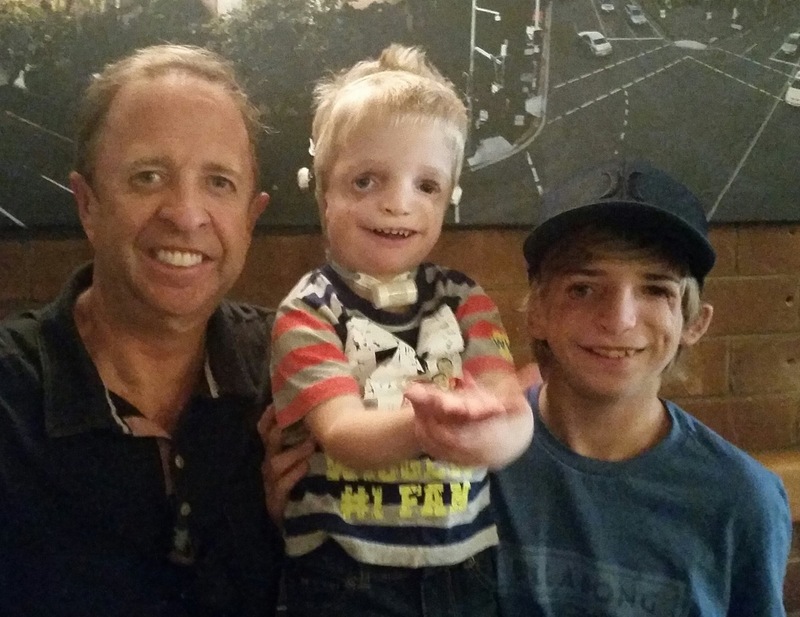 No doubt, we’ve come to know first hand that having a son – or daughter – with a craniofacial anomaly is traumatic. Expensive too. 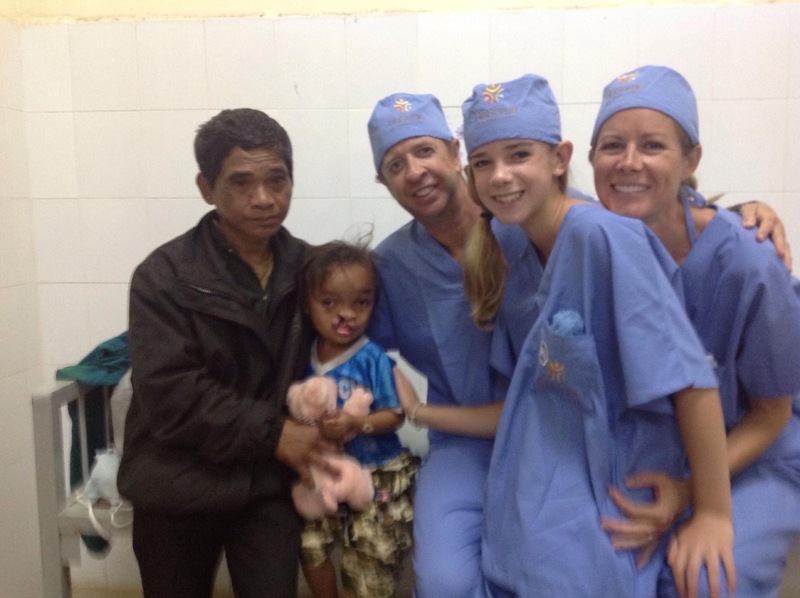 The good news is that our collective experience – including travels to remote areas around the world volunteering for those less fortunate than us and sponsoring surgical missions – has shaped the purpose of Look At Us: to provide education, support, counsel and care to families touched by craniofacial differences. 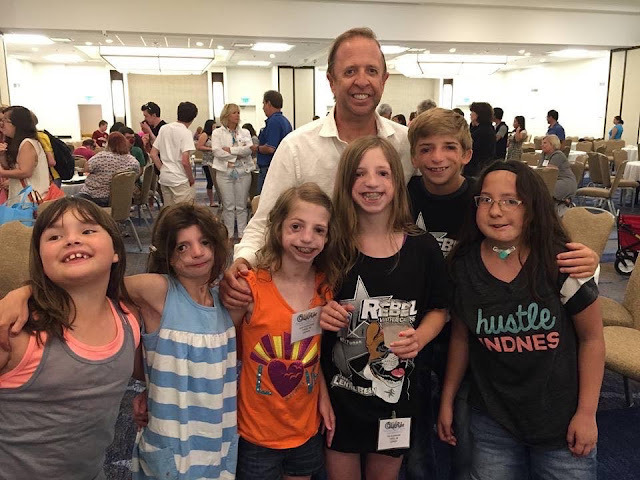 We’re advocates; we fund surgeries domestically and abroad; we supply medical devices – like hearing aids – to kids in need; and we help affected families navigate the seemingly uncertain roads ahead of them. CCA: What was it like for you growing up? Did you encounter discrimination or bullying? RW: I was very happy and confident growing up. As crazy as it sounds, I never really thought much about my appearance. I had a great childhood. My parents never focused on it and treated me normally. The only real bullying I ever encountered was when I was a sophomore in high school. I was an extremely wild teenager. Think of a cross between Fast Times at Ridgemont High and Animal House. My parents sent me to the Marine Military Academy for a year to straighten me out. Unfortunately for me it was a year of really cruel comments and bullying. I remember several times where I overheard other kids ridiculing me about being an “alien” or “an abortion that lived.” At the time, I really couldn’t believe they were talking about me. Also, for the first time I found myself in fights to defend myself. I had never experienced anything like it. Eventually, I surrounded myself with a group of friends and earned the respect of those around me. The thing about it, as awful as it was, I never lost my self-confidence. CCA: How do you overcome feelings of self-doubt? RW: Everyone has certain “movies” they play in their head about themselves or certain situations. Self- doubt comes from within and each of us has the ability to manage it through our thought process. The trick is to consciously change your thinking at the time feelings strike. No one else has to change for you to be happy. It is entirely up to you. CCA: Do you believe there’s a difference in acceptance and tolerance? Can you explain your thoughts on that? RW: Acceptance is a state of mind, tolerance takes effort. Acceptance becomes part of your character. Acceptance of yourself and others. It is the ability to view the world with a larger perspective than just focusing on yourself. CCA: What’s the toughest part of working in the nonprofit sector? RW: The most difficult part of running a non-profit, besides the accounting and IRS regulations, is the fact that you can’t help every person that requests assistance. I was unprepared to be the decision maker on who receives care and who might not. CCA: Why do you believe it’s important to take an international focus? RW: Our program in Haiti and other developing countries has been my proudest accomplishment. As much as I love helping families who look just like mine in America, the impact that we are able to have for a child that doesn’t have running water and dirt floors in their home is unimaginable. If we didn’t step in, literally, no one would. This is why we are implementing our +Plus Another fundraising program. 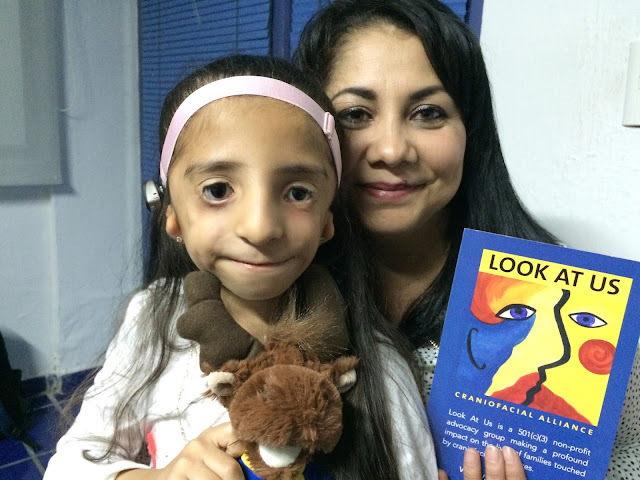 Families are able to raise funds for their child and also participate in a surgery or provide a hearing aid for someone else using the non-profit status of Look At Us. It allows individual donors and corporate partners to make tax deductible donations. Unlike other crowd fundraising sites, which have the emphasis on ME, +Plus Another helps YOU pay it forward to another family. Our motto is if there is always +Plus Another, paying it forward never ends. RW: Kindness means love. To be kind or to love a child who is part of the most vulnerable population on earth takes on a spiritual quality. It’s humbling and leaves one forever changed. RW: Do it scared! Basically it means don’t let fear stop you from accomplishing your goals. A few years ago I could never of imagined speaking in front of hundreds of people, sharing my story or leading a global organization. Stepping through the fear and doing something that scares you builds confidence. Everything you want in life is just outside your comfort zone. CCA: What do you want CCA Families and readers to know about Look at Us? RW: Look At Us is transforming lives all over the world and we would love them to join our alliance! Please contact us to discuss ways in which we can work together to assist children who otherwise will go without care. Unlike a large, bureaucratic organization we are nimble and able make decisions quickly to affect change.